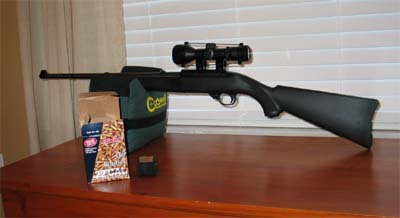 [ARCHIVED THREAD] - Lets see a Rimfire Pic thread started. wana see those 22's. Lets see a Rimfire Pic thread started. wana see those 22's. I had a 1/12" A1 barrel cut down to 11.5" and perm attached the 5" flash hider. It uses the M-261 kit. Boy is she quiet with the AAC Pilot. WHAT IN GOD'S GREEN EARTH IS THAT THING!?!?!?!?!?!?!?!?!?!?!? COME ON SHOW ME MORE! 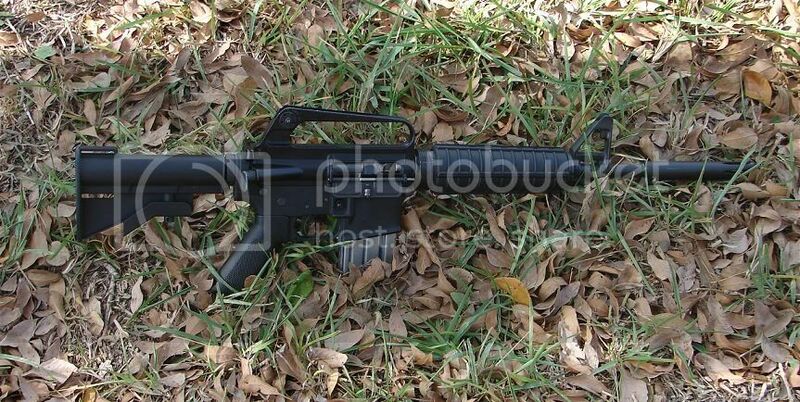 what kind of mag are you using on the m16? 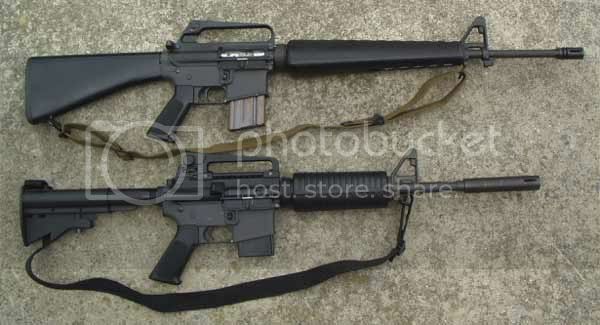 That suppressed M16 .22 looks like way too much fun. I think that is one of the coolest set ups i've seen. All you hear is the action cycling. Are you shooting subsonic .22? Did you have to do anything special to get that thing to run so perfectly? When shooting with suppressors, I use standard velocity or subsonic .22s to avoid the supersonic crack. My favorites are Winchester Dynapoint, CCI Standard Velocity, and Federal Target. The M16 works well with Federal Target. Recently, I've discarded the anti-bounce weight for the ball detent modification developed my Gorilla. 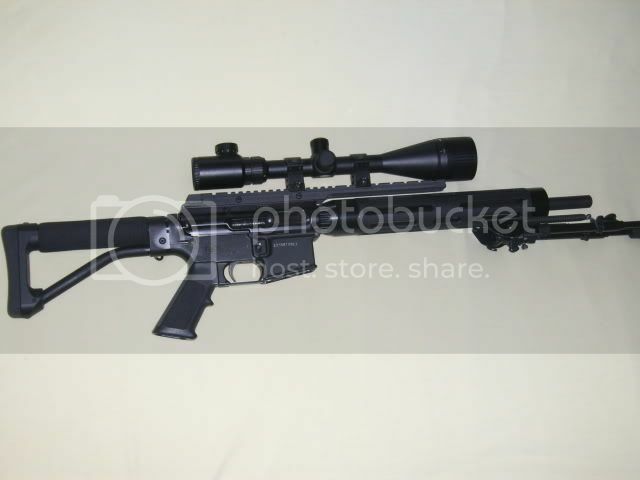 Click on link to see the mod: ar15.com/forums/topic.html?b=6&f=20&t=199744&page=4 It is an excellent modification that totally eliminates bolt bounce for me. It also allows me to shoot more rounds between cleaning. I highly recommend it. here is my M261 conv. wwow!? 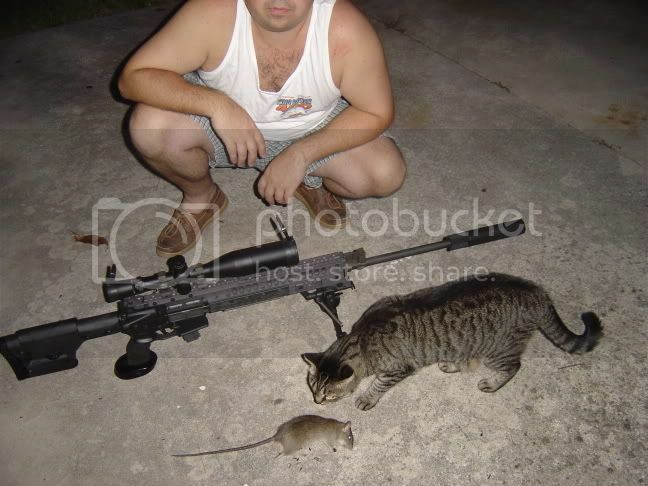 thats a 22. what type of mag is that? The M261 conv. uses a 10 round mag insert that fits a AR15- 20 or 30 round mag. Seems like you guys with all the .22's might have some of these lying around. I am looking for some empties to store some bulk. .22lr, If you have some for sale or trade, please let me know. Thanks, and nice rigs BTW. Greek translation: " Come and get our swollen genitalia "
Pics of Ace folder on M16/22. Gun loving cop? Or just a nut with a badge? are the previous three members' postings M261 kits? I believe Dano's is a Ciener, Eaarnhard3's is a dedicated AR that was built some years ago (Italian, I think), and Rbecks is a CZ V22. Brad is correct about my upper. It is a Ciener using the chamber adapter. Well what do you know? I DO know something after all! what twist rate is the bbls? i have a lower thats going to be sbr'ed that i want to build a .22lr upper for but not sure what to go with. at first i thought maybe a bbl. 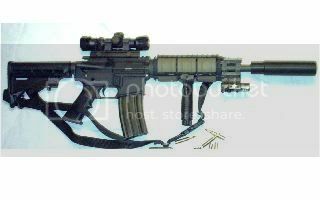 from kkf but its kinda pricey to be cutting down and now think i should look for an old m16 upper with a 1x12 twist or something. It is a 1 in 12 twist with a Ciener chamber adapter. I got one too, paid £125 & it's an absolute corker, very accurate. A little off topic but based on 22mag. 17HMR AR15 -- In progress -- working on a couple bugs. I no longer have it but it was still fun to shoot.